Interested in a free tree for your yard? 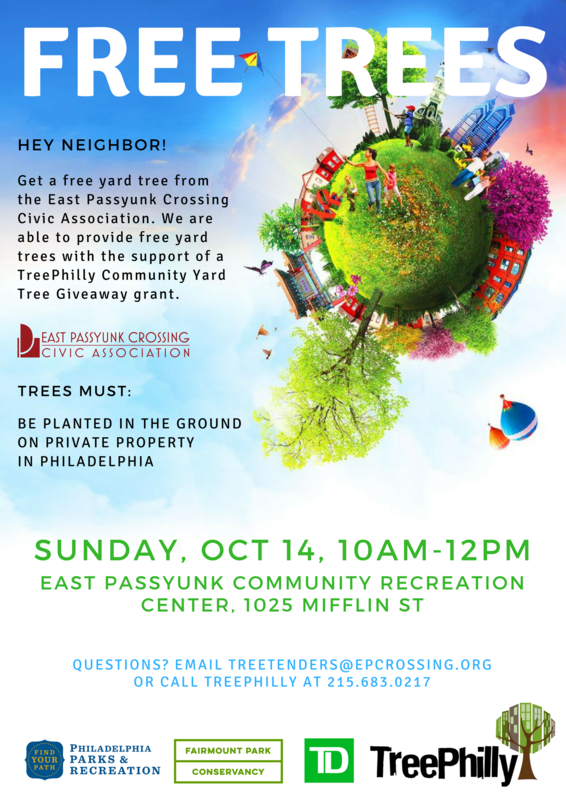 Register to get a FREE yard tree from East Passyunk Civic Association HERE. Pickup will be on Sunday October 14th 2018, from 10am to 12pm, at 1025 Mifflin Street. Posted in beautification.Tagged epx, free trees, tree tenders.